John Drury completed his first degree at the University of Sussex, and his MSc and PhD at the University of Exeter. He has also studied and worked at the University of Amsterdam, the University of Abertay Dundee, and the Trust for the Study of Adolescence. 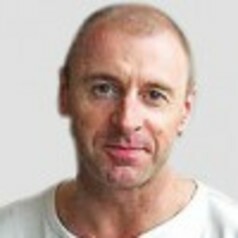 He came back to Sussex in 1998, where he is currently Reader in Social Psychology. John's work on mass emergency behaviour has been used by the emergency services, the Department of Health, and Birmingham Resilience. A United Nations Office for Disaster Reduction case study was based on his research. He convenes a module on the Psychology of Crowd Safety Management for live event safety professionals at Bucks New University. He has also worked with government departments, arts and theatre groups, social media businesses and community organizations, including Public Health England, Fabrica Gallery, NixonMcInnes, Club Penguin, The Fusebox, Pure360, Salon and the Bank of Ideas.